Valentine’s Day in Thailand. Thai people love to celebrate Valentine’s Day, with the sweetest romance seen around the capital, Bangkok, as well as other cities around Thailand cannot be ignored. Although Bangkok may not be considered the most romantic city in the world, come on February the 14th, the capital turns into a land of love; rose vendors line the streets, couples pack out the cinemas, restaurants hold one-off romantic evenings and bars throw special Valentine’s themed parties. Whether you’re on a first date, just marking the special day with your better-half or need to beg for forgiveness, Thailand is the perfect place to spend your Valentine’s Day, offering a range of romantic activities including luxurious spa treatments, boat tours, river cruises, intimate dinners and romantic views. River Cruises remain an extremely favorite thing to do this coming Valentine’s Day. 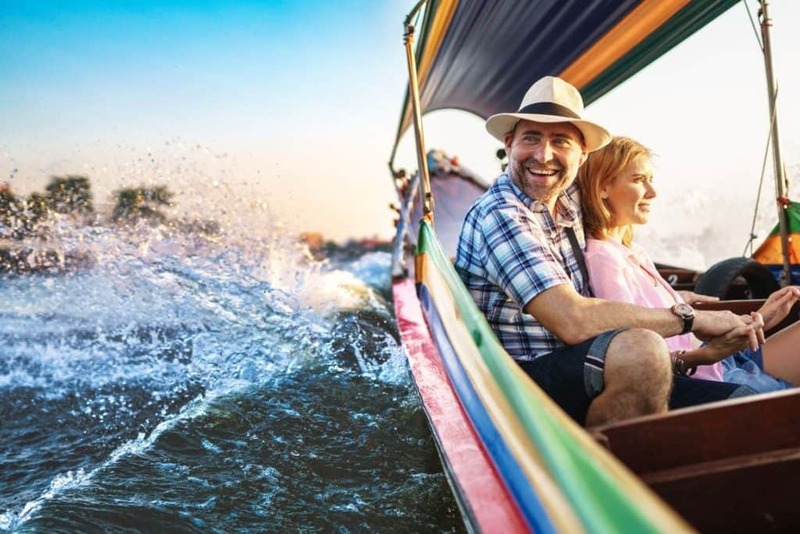 Secure your seat and cruise along the Chao Phraya River with your love. During the River Cruise, you will see a range of different sights. Watch various landmarks such as the Wat Arun Temple and the Grand Palace passing by when you enjoy a delicious dinner on the water. Bangkok has much more to offer when it comes to Valentine’s Day. 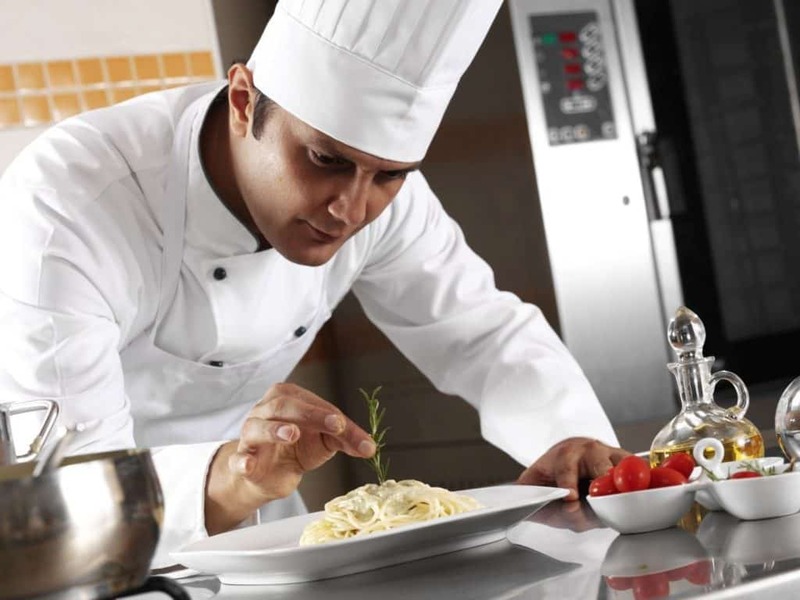 Chef completing a romantic dinner. Aside from river cruises, Bangkok is excellent for a lot of other romantic things to do. The city is a residency for some of the most delicious cuisines in Asia. The food is tasteful, and locations are outstanding. Some of them have recently been Michelin Star awarded. You can find many other picturesque dining spots around the city which are beautiful in decoration, view and price. Most Bangkok rooftop restaurants welcome you with a set menu and a glass of wine. Bangkok might take the lead when it comes to celebrating romance, but Chiang Mai with the smaller Mae Ping Dinner Cruise is also a romantic choice for couples. River cruises are also here topping the list with surroundings more landscaped and far away from skyscrapers and temple complexes. A journey, particularly on Valentine’s Day offers a memorable experience through past rice paddies and Chiang Mai. The Akaryn Manor in Chiang Mai is definitely worth a stay when you are looking for a romantic place to stay. Couples who plan a trip to the North looking for a romantic getaway in Chiang Mai can select from a long list of things to do. Stunning temples, amazing Lanna architecture and a breathtaking mountain landscape cover the City’s atmosphere. The Maiiam Art and Cultural Centre is a must visit for anyone who loves to share Thai art. Why not wake up early in the morning for a balloon ride to watch the tranquility of the landscape and Chiang Mai from above and enjoy a Champagne reception breakfast after your flight? Treat your partner to a traditional Lanna dinner during the evening. Enjoy an excellent Kantoke dinner where you can try all the deliciousness including all the curries, spices and spicy soups while listening to traditional northern Thai dancing and music. Chiang Mai is probably one of the best places in Thailand for healthy food, spa and massage treatments. You can find lots of small massage shops around the Old City of Chiang Mai when you walk around looking for a romantic package. You can also take different yoga classes around the city, including Satva Yoga Classes. Lots of tourists – last year almost 35 million people if we must believe the statistics – love to go to the beaches. The South of Thailand is the best place for this. Phuket is the best choice as it is the most significant island and Thailand’s most popular tourist destination. Phuket Island boasts a surprising list of fun-filled activities, from sunbathing to rock-climbing, cheeky ladyboy shows to spending the night at luxurious beach clubs – it has it all. However, for couples looking for a romantic Valentine’s break, the best thing to do is to take to the water and explore the region’s incredible scenery. Explore the deserted beaches, crystal clear water, and towering limestone cliffs. Hotels in Thailand are accepting all couples, no matter what race, religion or sexual orientation you are. However, some resorts and hotels around the country are famous for their gay-friendly events, as well as the diversity of their guests.